Dr Ben Tscharke is an early career researcher and analytical chemist with a keen interest in quantifying analytes in environmental samples. Ben is currently a Postdoctoral Research Fellow at the University of Queensland research institute, Queensland Alliance for Environmental Health Sciences (QAEHS), joining in February 2017 after graduating his PhD from the University of South Australia the previous year. His key focus at QAEHS involves the wastewater based epidemiological approach to determine community consumption and exposure to a range of illicit drugs, pharmaceuticals and personal care products. 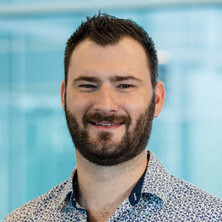 He has significant involvement in the Australian Criminal Intelligence Commission's National Wastewater Drug Monitoring program, for which UQ collaborates with the University of South Australia (https://www.acic.gov.au/publications/intelligence-products/national-wastewater-drug-monitoring-program-report). Tscharke, Ben, Chen, Chang, Gerber, Cobus and White, Jason (2014). Estimation of stimulant use in metropolitan Adelaide by wastewater analysis. In: Australian and New Zealand Forensic Science Society, Adelaide, (). 31 August-4 September 2014.